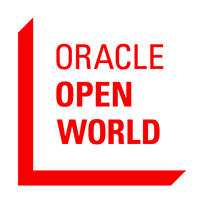 This is the second year in a row that I have the opportunity to attend the Oracle Open World Conference and looks like it’s going to be even better than last year’s. I’ll be flying to San Francisco on Saturday morning and I’m planning to do some sightseeing at the Bay (a small cruise maybe) and hang out with some other conference attendees. On Sunday I’ll be on all the ODTUG Database Development sessions. From Monday to Thursday I’ll focus on sessions about database development, database performance, big data and some Exadata (looks like one of those monsters is coming my way). I will also attend some of the Oaktable World sessions featuring bright members of the Oaktable Network. The afternoons and nights are going to be really interesting with all the receptions, music festivals and concerts that Oracle has organized including artists like Joss Stone, Macy Gray, Pearl Jam, Kings of Leon, etc..
I’m also looking forward to meet and network with other members of the Oracle community through the Bloggers Meet-up, the OTN Tweet Meet and the different activities taking place at the OTN Lounge. I’m sure that by Friday I’ll be a zombie and ready to sleep the entire flight on my way back to Austin. I’ll be tweeting my experience from @galobalda using the #oow hashtag. So if you see me, come by and say hi.